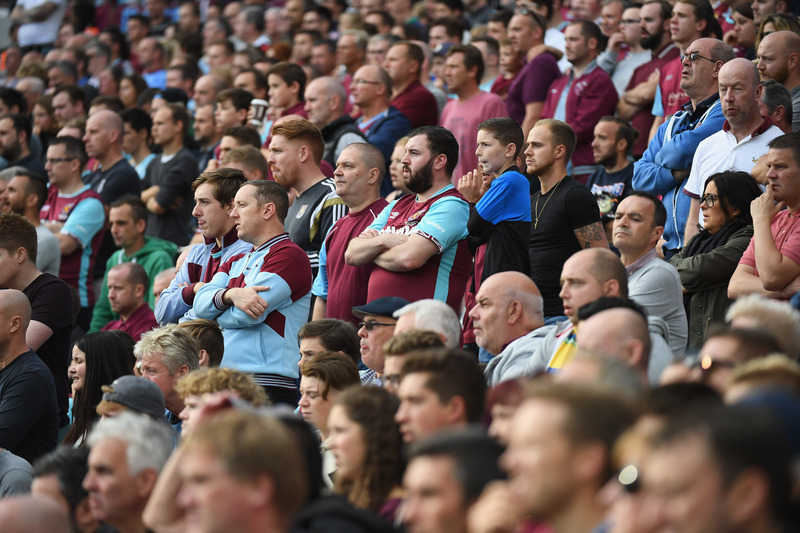 Safe standing Q&A: How does it work, how much does it cost - and is it *really* safe? 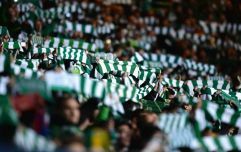 Today JOE.co.uk is running a debate on the return of safe standing in football. Banned in the top flight after the Hillsborough disaster of 1989, momentum has been building for a re-evaluation of the subject. It is used in the Bundesliga in Germany, and Celtic recently brought in a safe standing area in one section of Celtic Park. 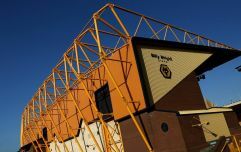 There is still opposition from some on safety grounds, but many fans are known to be in favour of a return for safe standing, and Manchester United and Chelsea are among those clubs exploring their options. JOE.co.uk's chief football writer Tony Barrett spoke to Jon Darch, a Bristol City fan who operates the Safe Standing Roadshow in collaboration with the Football Supporters Federation (FSF), to find out how it would work. How does safe standing operate in practice? “It’s very simple really: for domestic games when a rail seating area is being used as standing accommodation, the seats themselves remain in the upright position, neatly folded up flush between the uprights, leaving the maximum possible amount of space free for the standing fans - with no projections to bang knees on or to scrape shins against (unlike the curled plastic backs of conventional seats, which all match-going fans will know can leave your shins black and blue!). Whether the seat is locked up out of use or held up on a catch and still available to the fan, varies depending on club preferences and the applicable regulations in different countries. “Depending on the number of seats, currency exchange rates and a few other variables, the ball park figure is around £80 per seat. By comparison, a top-of-the-range conventional grandstand seat might cost around £60, while cheap and cheerful budget seats come in at around £30. So rail seats aren’t cheap. But what price do you put on safety? Were you involved in safe standing being installed at Celtic, if so how did that work? “Yes, I first took my Safe Standing Roadshow up to Celtic Park in May 2011. By then their stadium manager had already been thinking about rail seats for several years. However, it took two more roadshow visits and five more years before the project was finally signed off by Glasgow City Council. Ultimately they agreed with the football club that standing behind the waist-high rail of a rail seat was much safer than the previous practice at Celtic Park (and grounds all over the UK) of fans standing behind the shin-high backs of conventional seats. “The final reservation that had to be overcome was to do with popularity! The council recognised that the area would not only be much safer, but also extremely popular and were concerned that fans from adjacent areas of conventional seating would want to move across and join in the fun with their counterparts in the rail seating section. “To deter fans from doing this, a number of measures were agreed: a handrail was fitted down the centre of the radial gangway either side of the rail seating section; the rail seating section was sold solely as a season ticket area; and the season ticket was given a distinctive yellow colour, so that stewards could instantly see that the holder was entitled to access that area. How safe is safe standing? “Extremely safe. If you think back to the days of old terraces, the barriers were spaced quite a long way apart and as a fan you could find yourself involuntarily transported several rows forward as a shot whistled just past the post. Invariably, you then ended up back where you started, but for a while you had no control over your own movement. “Rail seats, by contrast, lock together to form a continual, sturdy waist-high rail along every single row. The old open spaces simply aren’t there any more. Rather than just a few barriers dotted around, you now have row after row of rails less than 1 metre apart. Surging or crushing is thus physically impossible. What has the European experience of safe standing been? “Many European countries, like Germany, never adopted the concept of all-seater stadia. They retained conventional terracing. However, around 17 years ago UEFA deemed that all their club competition games had to be played in all-seater grounds. 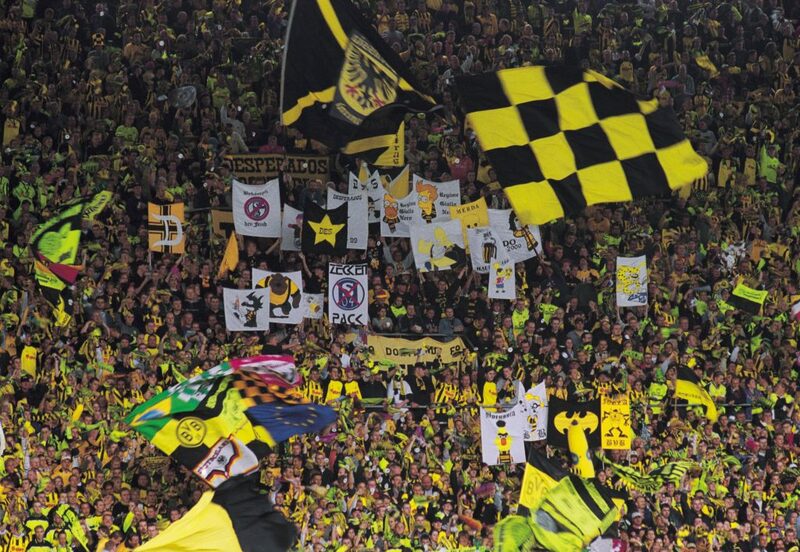 Clubs in Germany and elsewhere thus had to find a way to convert the standing areas of their grounds to all-seater configuration for those games. They came up with various ways of doing this. The solution that caught on best was rail seats. “In other countries, such as Holland, all-seater stadia were adopted, but now – with encouragement from the Dutch FA - they are introducing safe standing areas, e.g. at PSV Eindhoven, to enhance both spectator safety and stadium atmosphere. 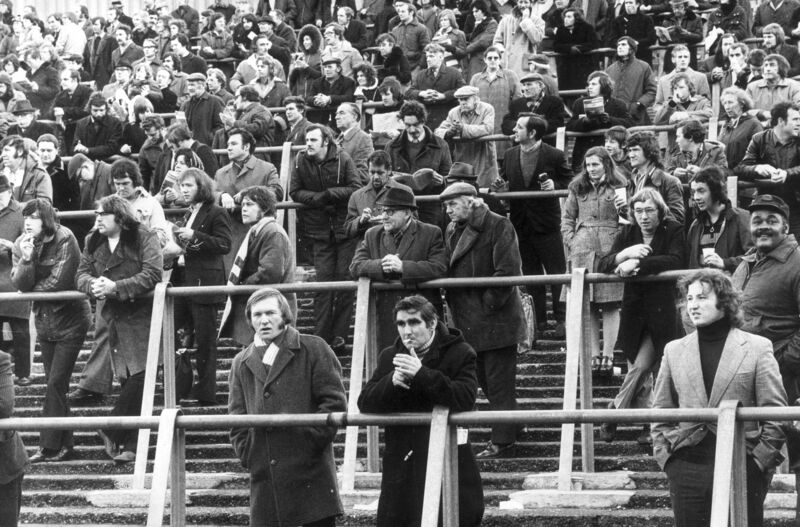 Does English football culture lend itself to safe standing? “Standing has always been a part of English football culture. It always was, still is and always will be. We’re not talking about ‘a return to standing’. We never lost that part of the match day experience. It’s just that for the past quarter of a century, it’s had to be accommodated in a makeshift fashion at all-seater grounds. “So there is no question of English football culture and standing up not being compatible. The vast majority of Premier League away fans stand for 90 minutes at every game. And the home fans at practically every club also know where in the stadium they’ll be allowed to do likewise. “So, yes: English football culture lends itself to standing. For 25 years plus in all-seater grounds that’s been on a make-do basis, in ‘signing sections’ and with a blind eye turned by the stewards. In a future with rail seating, those fans who enjoy standing up at the match will be able to do so in far greater safety. How many people can you fit into a rail seating section in comparison to a conventional stand? “There is no ‘one size fits all’ answer to that question. And there are many factors that can determine what the answer would be in each individual case. These include national regulations, the amount of space available between the rows of rail seats and the size of the stadium exits and concourses. 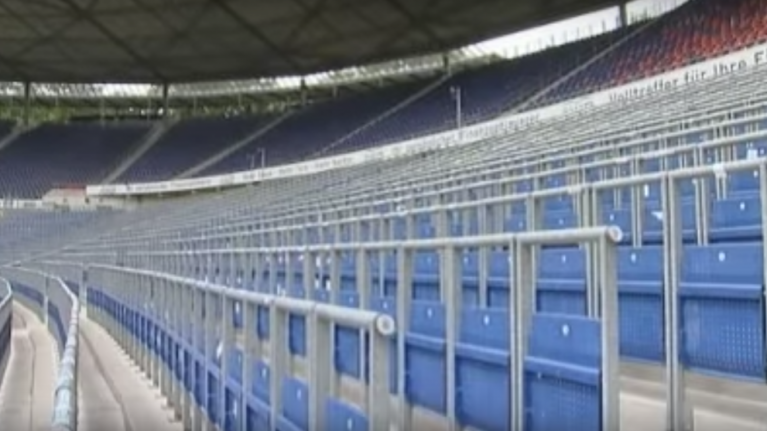 “In a country where the national regulations permit it and a stadium’s exits and concourses are large enough to handle the number of people concerned, you could be looking at as many as two people per seat space (in Hannover, for instance, 5,700 fans stand in an area of 3,000 rail seats). “In the UK, however, seating rows tend not to be as deep as they are in, for example, Germany and in existing UK stadia the exits and concourses will have been designed to cope with no more people than the number of seats in the stand. In retrofit situations, therefore, achieving more than one person per seat may present a challenge – albeit not insurmountable. Do you believe there are safety issues in conventional stands that have largely been overlooked? “Some, yes. While a report produced by WS Atkins for Trafford Borough Council some years ago concluded that passive, persistent standing behind normal seats was safer than jumping up from a seated position to celebrate a goal, it is nevertheless patently obvious that if you lose your balance while standing behind a conventional seat, or get an unexpected shove from behind (maybe caused by a fan in the row behind falling forward), you can easily topple over the seat’s low shin-high back. You have nothing to hold onto to arrest that forward movement. “In extreme situations this can indeed lead to broken bones. Millions saw Marcus Rashford’s late winner for Manchester United at Hull City recently and the way that the United fans poured forward over the advertising board in celebration. An elderly female fan had to be helped back to her feet and at least one other fan broke his arm as a result of being pushed from behind and falling forward over the seats in front. 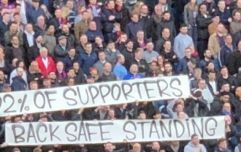 Do you understand the opposition to safe standing? “On a logical level, no. There is no good logical reason to be against enhancing spectator safety, which is precisely what the introduction of rail seating will do. It will make the fans who currently stand in areas not designed for the purpose much safer. “On an emotional level, however, I do understand that over the years of being denied justice, some of those most deeply and closely affected by Hillsborough came to see all-seater stadia as the only legacy of the 96 deaths. So, as a purely emotional reaction, yes, I can understand that. “Now, however, justice is finally delivered. The legacy is the unlawful killing verdicts. The legacy is the exoneration of the Liverpool fans. 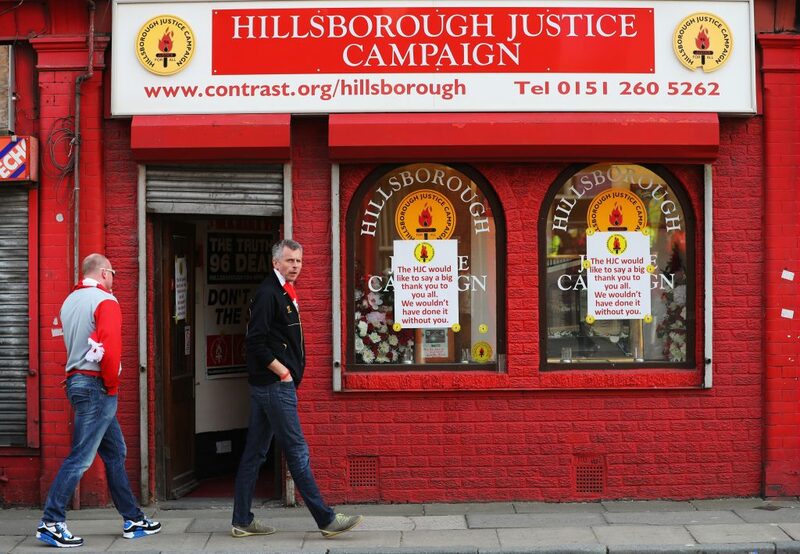 The legacy may yet by a Hillsborough Law and criminal convictions. Perhaps now it is therefore time to consider whether clinging on to the ban on standing – as the only legacy of Hillsborough – is still appropriate. “To their great credit, the Hillsborough Justice Campaign (HJC) supports 'a full and objective debate on the issue' and 93% of Spirit of Shankly members recently passed a resolution in favour of the supporters group adopting a formal position on rail seating and consulting widely to determine what that position should be. “In my opinion, the ban on standing is a slur on the good name of all football fans – not least on the reputation of the 96. It stems totally from the Thatcherite view of football supporters as another ‘enemy within’. Her press officer (Bernard Ingham) called the Liverpool fans at Hillsborough a 'tanked up mob' and, before Lord Justice Taylor had even begun his work, her Home Secretary was proposing a ban on standing – alongside the ill-fated ID card scheme – as a means of keeping hooligans out of football grounds. “With unseemly haste, months before Taylor presented his report, the power to enforce such a ban was enshrined in law in the Football Spectators Act, described in Parliament as an Act 'to counter hooliganism'. To persist with a ban on standing based on the premise that fans who like to stand are hooligans and that Hillsborough was caused by a 'tanked up mob' is an insult to all of us who would like to be allowed formally to stand up to watch the game – and to all those who used to stand in the past, the 96 included. How would you counter the argument that safe standing could lead to another Hillsborough? “The primary cause of Hillsborough was the abject failure of people charged with a duty of care towards spectators on the day to manage their admission to the ground safely. The Taylor Report said so, the Hillsborough Independent Panel Report said so and now the inquests’ unlawful killing verdicts have underlined that once again. “Failure to manage the crowd properly at the point of entry, not the nature of the spectator accommodation towards which the crowd was moving, was the primary cause. Just as it was 12 years later at Ellis Park Stadium in South Africa, where 43 spectators tragically lost their lives. Again a failure of crowd management at the point of entry. Nothing to do with the nature of the spectator accommodation, which in that case was 100% seats. “Modern crowd management methods, with barcoded tickets, hugely improved policing and stewarding procedures, strict control of capacities and high-resolution CCTV have led to sports stadia in the UK – those that are all-seater and the many that also provide standing accommodation – to be among the safest in the world. “A straight swap of a small proportion of conventional seats in an all-seater stadium for the same number of rail seats is not going to change anything about the methods of crowd management employed at the point of entry. As I said earlier, once at their seats in the stadium, fans standing to watch the game in a rail seating section are going to be far better protected from stumbling or toppling forward than is the case in areas of all-seater grounds where fans stand today behind conventional low-backed seats.